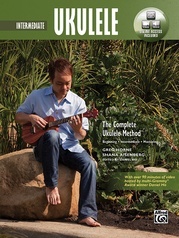 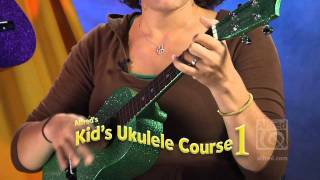 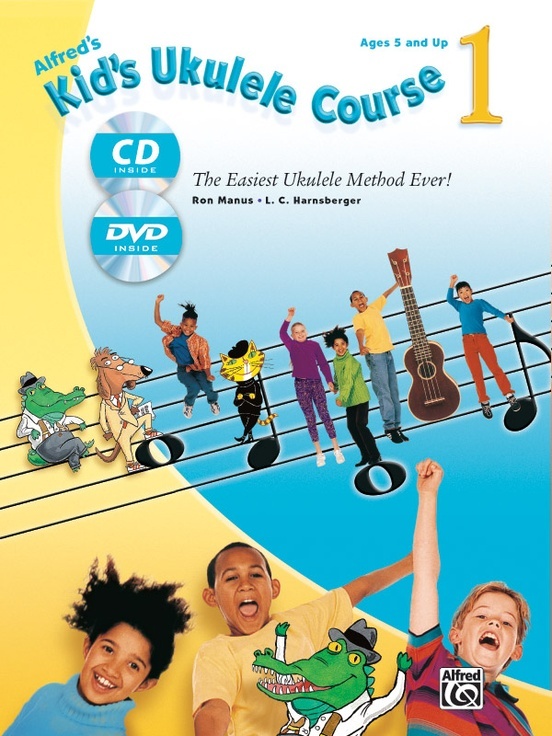 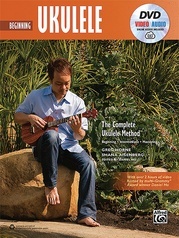 Alfred's Kid's Ukulele Course 1 is a fun method for learning to play songs on the ukulele right away. 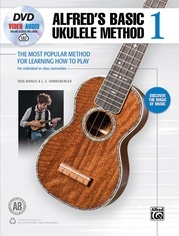 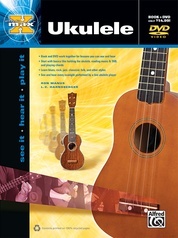 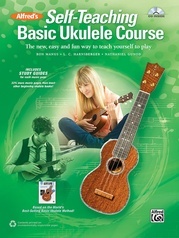 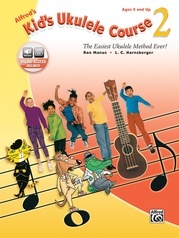 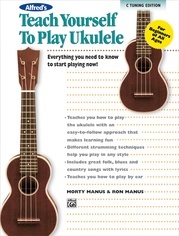 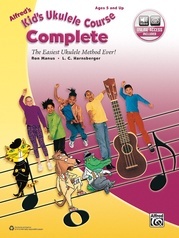 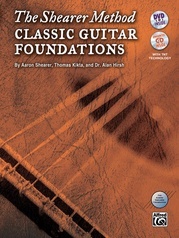 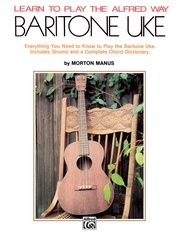 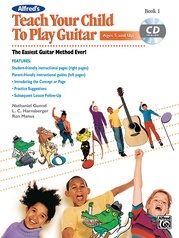 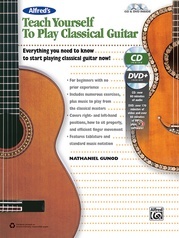 Featuring a live instructor that will make learning easy, this book, CD & DVD kit starts by teaching you how to hold the ukulele and tune the strings. 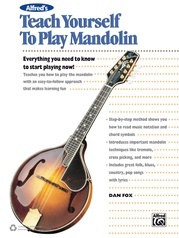 But by the end you'll be strumming chords, reading music, and playing lots of familiar songs. 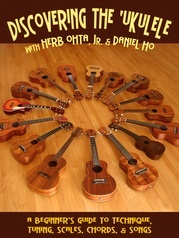 The tunes include "Aloha Oe," "Ode to Joy," "Over the Rainbow," "When the Saints Go Marching In," and many more! Notes on the screen provide an easy introduction to reading music, and live performances demonstrate how the music should sound. 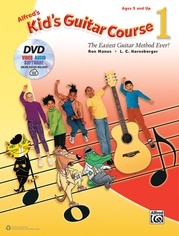 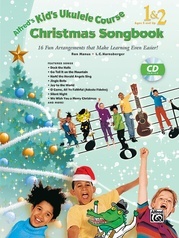 MP3 audio tracks of all examples are included for listening and playing along.